I am a qualified Counselling Psychologist based in Derby. I am trained and experienced in counselling, psychotherapy and cognitive behavioural therapy (CBT). I can also offer EMDR for trauma. Appointments for counselling, psychotherapy and CBT are available in Derby. I gained my initial counselling qualification in 2001, completing a postgraduate diploma in person centred counselling at Nottingham Trent University. 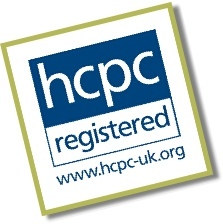 I completed a Masters Degree in Integrative Psychotherapy in 2006, gaining UKCP registration. As a Counselling Psychologist I am trained in a number of different therapies. The specific approach I use with any individual depends on their needs and what will work best for them. In the first couple of sessions I aim to help the client develop an understanding of the concerns that they bring to therapy. I then aim to offer a tailor made therapy that is unique to the client’s individual needs. I am experienced in working with a range of issues such as depression, anxiety, panic attacks, low confidence, low self esteem, and trauma. I also have a special interest in working with adult ADHD and can offer advice and consultation regarding this.